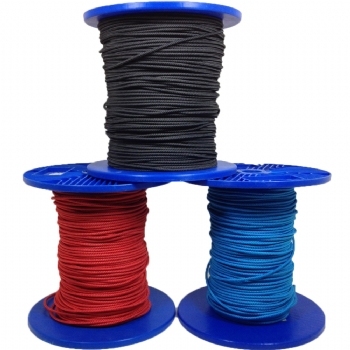 3mm Pulley Bridle Line is used by Cabrinha, Airush, and many major kiteboarding brands. This line is highly abrasion resistant. The 3mm pulley bridle line usually will have a pulley running on it. This line works great with pulleys because the line will not flatten out under load which makes the pulley run really smoothly.